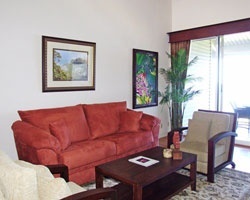 Escape to the tropical shores of the Pacific Ocean with a luxury timeshare resale or rental at Cliffs Club Princeville. With SellMyTimeshareNow.com, you can browse our incredible selection of these units at prices up to 70% off going developer rates. What’s My Cliffs Club Timeshare Worth? Situated on a secluded bluff overlooking the beautiful shores of Kauai and the Pacific Ocean, this tropical island escape is the one you've been dreaming of. From lavish accommodations, luxury amenities, and exciting natural wonders to explore, this vacation destination has all you could ever want in a Hawaiian retreat. On-site enjoy outdoor games, swimming pools, hot tubs, and a putting green. The local area is just waiting to be explored. Whether you go snorkeling, hiking, biking, zip lining, ATV cruising, or helicopter touring, you'll love getting a taste for the beauty that is this stunning island environment. Gorgeous one- and two-bedroom tropical suites are available at the Cliffs Club. 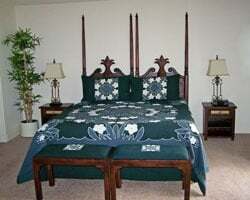 Decorated to tell the story of Hawaiian life, myths, and legends, you'll feel totally immersed in the rich culture and history of Princeville. Each unit comes equipped with a full kitchen, private bedrooms, living and timing areas, hardwood floors, granite countertops, two full baths, and two private lanais. The two-bedroom units even offer stunning garden or sparkling ocean views to add to the experience. Plan your escape to The Cliffs Club Princeville Kauai Hawaii today with the help of our licensed resale specialists. 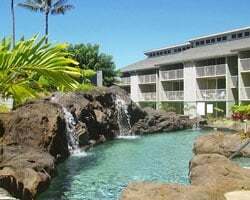 Complete the form on the right of this page now, or call us at 1-877-815-4227 for further assistance in finding your perfect resale or rental in charming Hawaii. You can own your own slice of paradise with a timeshare at Cliffs Club for less than you may think. Timeshare ownership gets a bad rap for being overpriced. But this is because resort developers overcharge buyers for timeshares by tacking on sales commissions, fees, and taxes to the actual valued price of the timeshare. When you shop the resale market, you'll find a great selection of affordably-priced timeshares advertised by owner. These prices reflect each timeshare's individual market value with no extra costs or fees. This price differential can save you up to 70% off retail—that's thousands of dollars off! 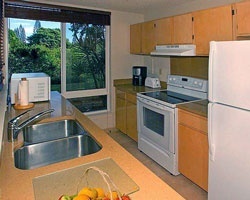 Our inventory of Cliffs at Princeville resales features deeded and leasehold floating week timeshares with annual usage. With a deeded timeshare, the property is yours for life. Whereas a leasehold timeshare has an expiration date on how long you own the unit, while still giving you full ownership benefits. Floating weeks allow you to change up your vacation each year by choosing a different week within your given season of ownership. The Cliffs Club Princeville is fortunate enough to be an affiliate of the world's leading external exchange company, RCI . 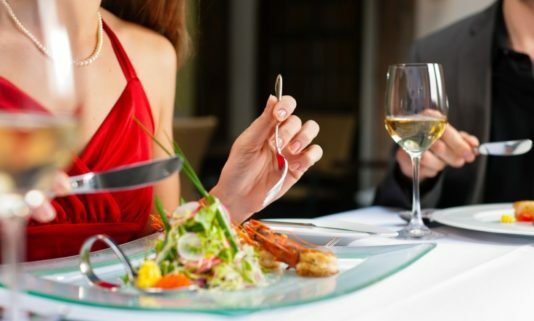 As a resort affiliate, Cliffs Club timeshare owners have the wonderful opportunity to purchase an annual RCI membership and gain access to their extensive exchange services. RCI features a vast portfolio of thousands of vacation ownership resorts all across the world with top-name brands in every destination imaginable. Cliffs Club owners can deposit their timeshare week with RCI in an exchange for a vacation at any of their many affiliates. Additionally, Cliffs Club is an RCI Gold Crown rated resort, giving owners at this property the highest possible trading power within RCI's network! Interval International is another leader in the external exchange industry, and Cliffs at Princeville happens to be an affiliate of this company as well! Similar to RCI, Cliffs Club timeshare owners are able to purchase an affordable Interval International membership each year to gain access to their extensive network. Interval International also has a vast portfolio of incredible resort properties in every destination you could ever imagine, giving members virtually endless vacation options for less. Depositing your timeshare week is easy and affordable and a great way to make the most out of your timeshare ownership experience. Cliffs at Princeville is also an Interval International Premier Resort. This distinction gives owners a higher trading power within Interval International's portfolio of vacation properties. This tropical oasis offers plenty of privacy and relaxation, with beautiful landscaping, tropical gardens, and stunning views overlooking the Pacific. On-site amenities include a swimming pool, putting green, adults-only spa tub, playground, tennis courts, volleyball and badminton court, basketball court, shuffleboard courts, and more.The resort also offers on-site activities for a variety of interests including beach yoga, scuba lessons, lei making, and botanical tours. The immediate surrounding area offers so much to explore including the 45-hole Robert Trent Jones Jr. Princeville Golf Courses, Na Pali coast, helicopter tours over the mountains, snorkeling and scuba diving excursions, hiking, zip lines, cruises and water sports, kayaking adventures, and miles of gorgeous white sandy beaches. You'll even have plenty of opportunity for dining, shopping, exploring the local culture, and participating in an authentic luau experience. Already Own at The Cliffs Club Hawaii?